WALZ Group Motor Sports Show was held over the weekend, leaving car enthusiasts extremely impressed and revved up for more. Thousands of patrons gathered at the Calliope River Historical Village to view the beautifully restored vintage and souped-up classics. The Motor Blow Off competition proved to be popular one, with onlookers placing their bids for the winner between traditional rivals Holden and Ford. Out of the four motors blown, Mitsubishi took the crown, lasting 12 minutes, 30 seconds. Gladstone Auto Club promotions officer Scott 'Elmo' Elwell said there were about 80 cars that nominated and there was a huge crowd over the two days. 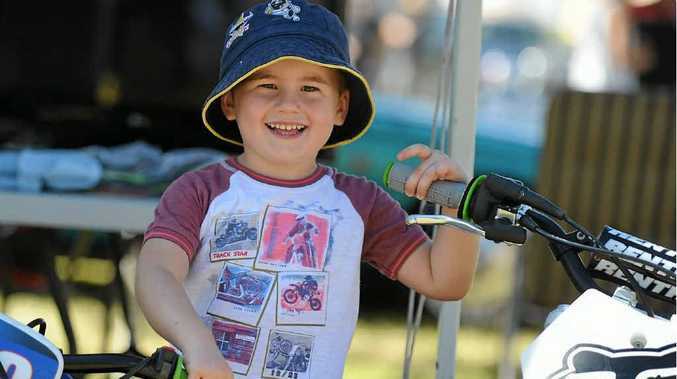 The hotted-up modern and vintage cars and activities throughout the day were crowd pleasers for young and old at the annual family-friendly event. A chopped Harley went on many wish lists. 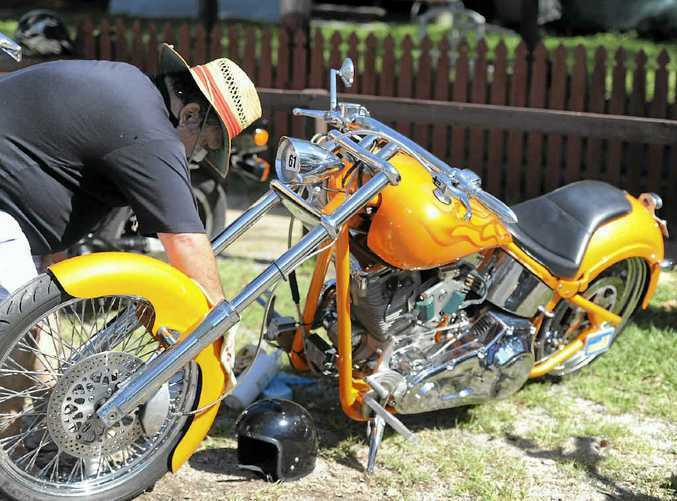 ORANGE racing flames beam down the sides of Dale Bauer's custom made chopper and it is clear this authentic ride fitted right in at Walz Group Motor Sports show. Mr Bauer has owned the bike for over a year and a half, and he's fairly chuffed by it. "It's custom made and it's a lot more individual than anything I've had before," he said. He camped out with his family for the two days of the event. "It's been pretty good. It's surprising how many people are here." Although his impressive custom chopper boasts individuality and style, he said for the right price he would consider selling.